Learn how you can help your patient to quit. Tobacco smoking contributes to more deaths and hospitalisations than alcohol and illicit drug use combined. In fact, tobacco use is the leading cause of preventable death and disease in Australia and kills one in every two smokers. Why should you get involved in smoking cessation? As a health professional you are seen as a respected source of health information and are ideally placed to start a conversation about smoking. Most smokers want to quit and are looking for help. There is evidence that brief advice given by a health professional can help smokers stop smoking successfully. There are many one and two-minute occasions that can be used to initiate a short conversation on tobacco-related cessation advice during an appointment. 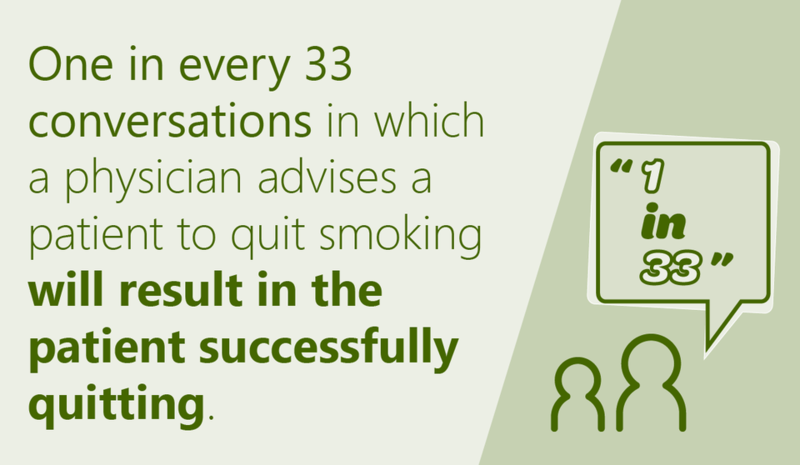 Quit has worked with health professionals to develop a 3-step model (Ask, Advise and Help) that makes it easy to fit smoking cessation into routine practice. If you are not familiar with delivering brief interventions, read about courses available and register for Quit Educator training. You can also provide smoking cessation assistance within the time constraints of a busy practice by referring patients to Quitline. Use the Quitline fax referral form or refer patients online to help your patients to quit. You can refer your patient/client/consumer to information on the website or order a range of fact sheets and handouts to give to your patient. Self help material – My quit plan and 4Ds wallet card. Tobacco in Australia: Facts and Issues is a comprehensive review of major issues in smoking and health in Australia, compiled by the Cancer Council Victoria.